Texas Hill Country is a beautiful place to explore. The region encompasses 14,000 square miles in the center of the state and is made up of 55 cities/areas including San Antonio and Austin. 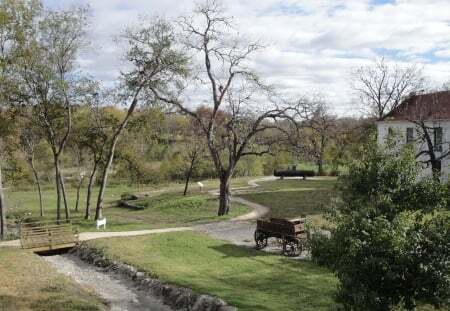 Although many people associate the Hill Country with bed & breakfasts and antique stores, there are also plenty of places to explore with your kids. The best part? Many of these activities are inexpensive or free of charge. Zilker Park is a great place to spend the day. 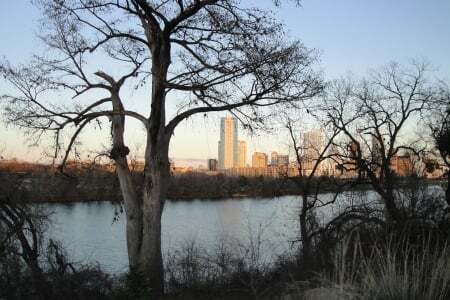 You can take a swim in the Barton Springs pool, stroll down the winding walking trails, fly a kite in an open field, or visit this city park’s large playground. Our daughter’s favorite Zilker Park activity? The Zilker Zephyr, a miniature train that makes a 20-minute loop through the park. 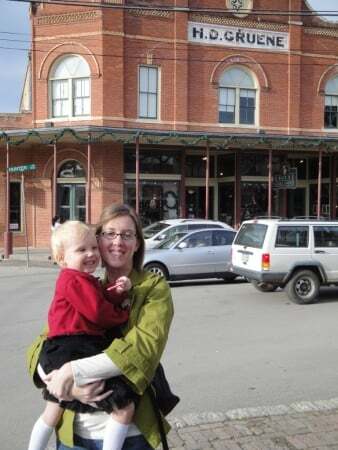 The town of Gruene, located north of San Antonio, is filled with Texas landmarks, including the famous Gruene Hall. Among this town’s treasures is the Gruene General Store, a place brimming with Texas personality. Old wooden floorboards that creak as people walk by and a counter where you can sit and order an sundae or soda make this a place you’ll remember. If you visit during the holiday season, stop by the general store to meet Cowboy Kringle, the Texas version of Santa Claus! 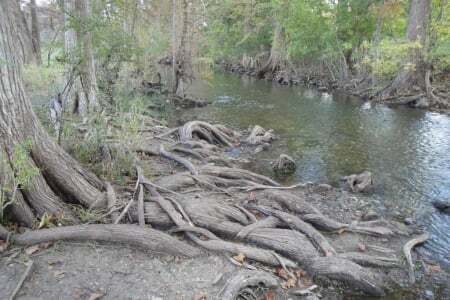 A short drive from San Antonio is the Hill Country town of Boerne, where you’ll find the FREE Cibolo Nature Center. It consists of hiking trails, prairies, marshes, a creek…in other words, 100 acres of wilderness. Consider bringing a picnic lunch. You can nab a perfectly-located picnic table near the creek. Haby’s Bakery specializes in delicious baked goods that have a European flare. From traditional desserts to colorful cookies, this bakery offers a wide variety of treats at reasonable prices. Take your goodies with you and eat them down the street in a small park called September Square. Next, visit Landmark Inn State Historic Site. This park/inn/historic site is a beautiful place to talk a stroll and learn a little history along the way. This area is filled with historic buildings and fun shops. Make sure to stop in the town’s Marktplatz (Main Square). Here you’ll see a distinctive octagonal building called Vereins Kirche, which now houses a small museum. After your visit, head to the Clear River Pecan Company to enjoy an ice cream cone. Hill Country encompasses what Texas is all about: a rich historical tradition, good food, and plenty of personality. I’m not a native Texan, but I think the Hill Country is really the heart of the Lone Star State. 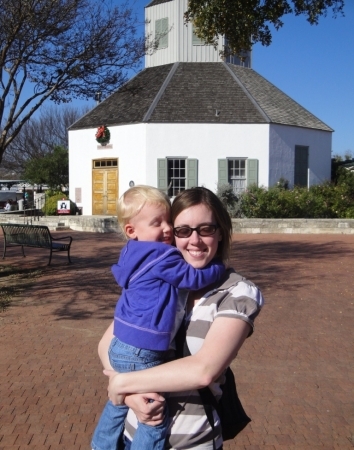 Sarah V. writes a family travel blog called Wandering Off, which focuses on her family’s adventures through Texas. She loves nothing more than jumping in the car, firing up the GPS, and seeing where the road takes her. To go along on her adventures, follow her on Twitter at @wandering_off. What Texas Hill Country activity would you most like to try? Let us know in the comments! Thanks so much for allowing me to be a Travel Mamas guest blogger! I had so much fun writing this post. Thanks so much for writing this story for Travel Mamas, Sarah! Now I have even more reasons to return to Texas! I only stumbled on to Sarah’s site last week, but already I’m inspired to go out and try a ton of new things. I thought we were doing well on getting out and exploring our new city, but Sarah & E. have showed us there’s a ton left to do in our new town.